Knowing how to administer CPR in an emergency can be the difference in saving a life. Learn this valuable skill at the YMCA. 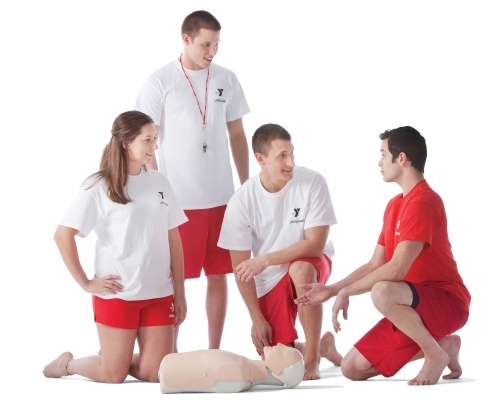 The Y offers First-Aid/CPR/Bloodborne Pathogens classes instructed by certified trainer, Mark Bowes. These classes will meet the requirements for CNA’s, medical assistants and licensed childcare workers. We offer a full course and a refresher Course at the YMCA of Port Angeles. There will be a 30 minute lunch break from 11:45 am to 12:15 pm. Students must be present for the entire class. Any student leaving before class is complete will not receive a card. Refresher course does not include Blood Borne Pathogens. Students must be present for the entire class. Any student leaving before class is complete will not receive a card. 24-hour advance notice required for cancellation. Late cancellations will forfeit entire class fee. Note: Recent expiration will be handled on a case-by-case basis by the instructor. This is a Washington State Labor and Industries approved course for work or home. The class includes training in Adult/Child/Infant CPR (Cardio-Pulmonary Resuscitation), First Aid, AED and Blood Borne Pathogens. Mark Bowes course is integrated C.P.R., First Aid and Blood Borne Pathogens, therefore cannot be taken separately.